Since 2010 our mission has been simple, but ambitious: operate a free, volunteer-powered health clinic that provides high-quality, primary care to the hard working uninsured men and women in our community. Because they simply cannot afford to see a doctor, a majority of our patients come to us ill or suffering from chronic disease that have gone unchecked or undiagnosed for years. Every day, we are aware that for most of the working uninsured in our neighborhood, our free clinic is the difference between life and death. 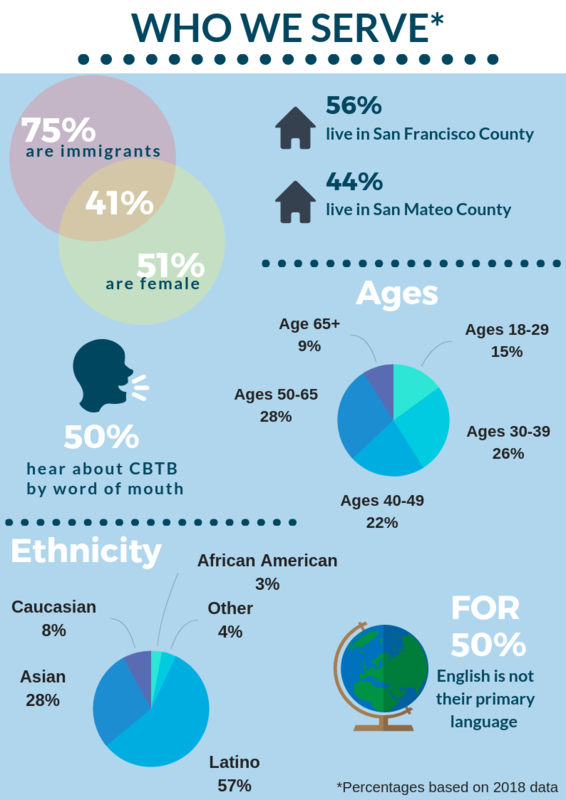 Even with the Affordable Care Act, nearly 90,000 people remain uninsured in San Francisco and San Mateo counties — 25% of this population is in our neighborhood … Mission District, Excelsior and northern San Mateo County. Our goal is to meet the needs of this population, creating a genuine positive impact in our community and leveraging medical partnerships that allow us to support our patients beyond our doors.